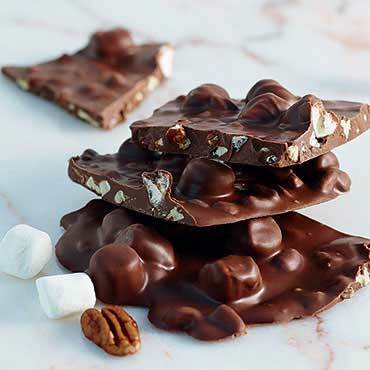 Fresh pecans and gourmet marshmallows mixed with Bissinger's creamy milk chocolate and crafted into a snappy bark. Fresh, premium pecans and the finest, fluffiest marshmallows are stirred together with Bissinger's milk chocolate and then crafted to the perfect thinness for the crunchy bark snap you love. Haven't ever found a more delicious substitute (even in Austria or Germany) & I have searched. Perfect ratio of marsh, nuts & chocolate for a perfect snack if this is it for you! Wish there was a volume discount. The Heavenly Marsh Pecan Bark is the best bark I've ever tasted! Very creamy with lots of pecans and marshmallows. My whole family loves it! Requested gift! Love it! Worth the calories!!! This bark is the best I've ever tasted. 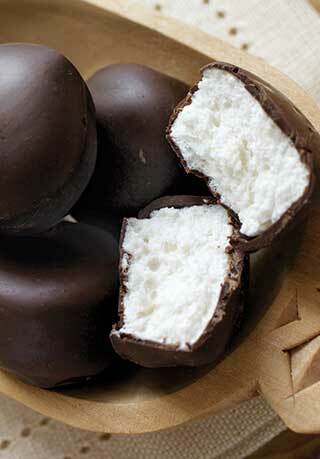 Very creamy chocolate with lots of pecans and marshmallows. This is the only company from which I order chocolate. 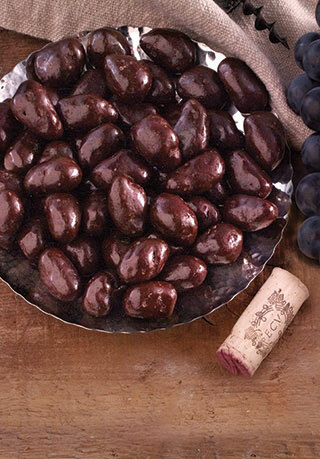 Delicious and well received by the receiver of this gift. I get this for my Mother every year at Easter time. She gets so excited and asks me if its the good stuff. This is hard to find these days; other places call it Heavenly Hash. Would highly recommend! INGREDIENTS: Milk chocolate (sugar, whole milk powder, cocoa butter, unsweetened chocolate, soy lecithin, vanilla), marshmallows (corn syrup, sugar, dextrose, modified food starch (corn), water, gelatin, natural and artificial flavor, tetrasodium pyrophosphate, blue 1), pecans.